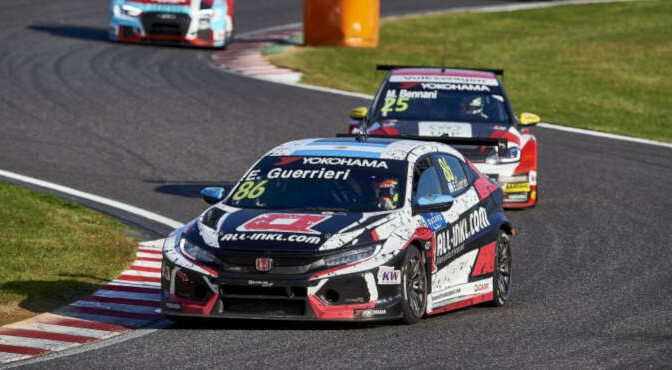 Esteban Guerrieri scored a strong fourth-place finish in the first of three races in the WTCR – FIA World Touring Car Cup at Honda’s home circuit, Suzuka, Japan. The ALL-INKL.COM Münnich Motorsport driver started sixth in his Honda Civic Type R TCR, but launched himself up to fourth as the lights went out at the start and held on to finish the 11-lap race there too. It was the eighth time this season in which the Argentinian has finished in the top five and moved him up to fifth in the Drivers’ Championship with five races – including Sunday’s double-header – to go. 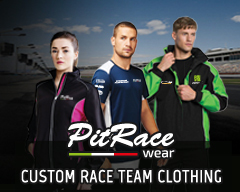 Team-mate Timo Scheider climbed from 24th on the grid to 19th by the finish of a race that was twice interrupted by the safety car; the German pulling off several impressive passing moves on what is only his third weekend racing front-wheel-drive machinery. Yann Ehrlacher endured a luckless race. Having been shoved into the gravel by another car – which had cut the chicane at the end of the opening lap – he suffered contact from two further rivals; the second incident putting him into the gravel at 130R and out of the race. Twenty-four hours after he was warmly welcomed back onto the WTCR grid following 14 months recovering from injury, Tiago Monteiro ended his first race in the series in 15th place; two spots higher than where he started. His Boutsen Ginion Racing team-mate Tom Coronel, the most popular WTCR driver in Japan following five years racing in Formula Nippon and Super GT, also made significant progress. Having started 21st, he finished 17th. The Suzuka weekend concludes with a pair of races on Sunday.